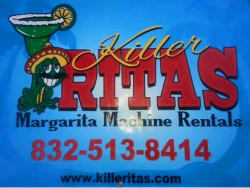 Welcome to Killeritas, we are a margarita machine rental company based in Houston, Texas. Killeritas is the perfect choice for your next party or event. We supply our customers with commercial grade equipment. Our Margarita machines are easy to use and extremely reliable. The machines freeze the mix so no ice is needed! It makes perfect frozen drinks every time. You can have 10 to 1000 guests or more and we'll still have you covered. We will deliver to your location and set up one of our margarita machines. We will mix the first batch with you and we'll supply premium margarita mix, cups, and straws. 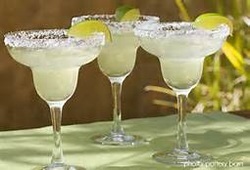 You can be sure our Legendary Lime Margaritas will rock the house at your next party! We want you to know that when it comes to Margarita Machines, you have a choice. All Margarita Machines are NOT created equal, and you should pick the right one for you. Our goal is to provide our clients with the BEST margaritas, with the LEAST work, from the FASTEST machine, for the BEST price. Our Margarita Machines and products are not cheap. They were never meant to be cheap. They were meant to be the BEST. Since pricing and value is always a client concern, we have made it as affordable as possible without compromising quality. Our Margarita Machine rentals are just $150.00 delivered with cups, straws and enough mix to make approximately 10 gallons of Margaritas. 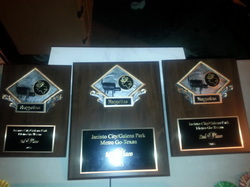 Margarita Machines for your party or any type of event today!